There will be one last chance to celebrate the Royal Air Force’s centenary when the RAF in Concert tour arrives in Cardiff this October for a special performance. 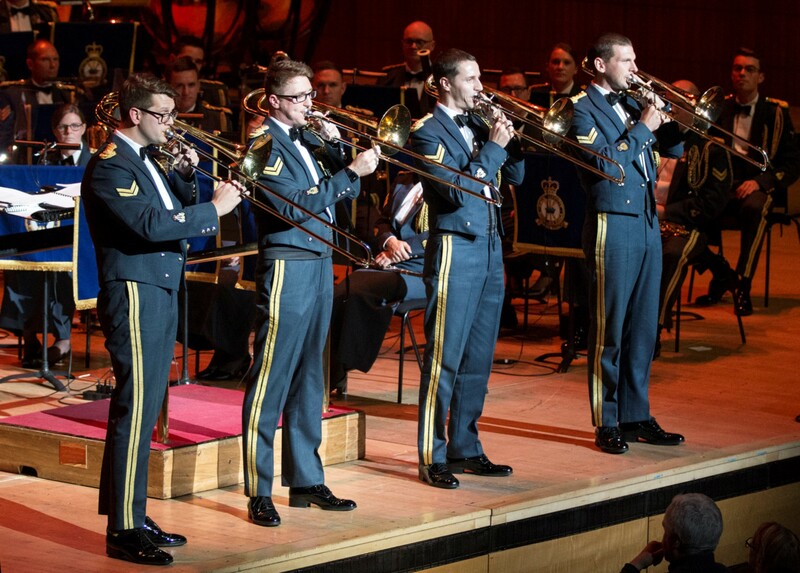 The concert tour marks the end of a series of exciting events that have been staged around the UK this year serving to commemorate and celebrate the Royal Air Force as well as inspiring the next generation of Servicemen and women. The RAF in Concert tour, which reaches Wales Millennium Centre on Friday, October 19, will be the last official event marking the centenary and will feature an entertaining programme of music that showcases the performers’ virtuosity as well as reflecting the modern Royal Air Force of today. From rousing military marches to toe-tapping big band numbers and timeless classical pieces, accomplished musicians from the RAF Squadronaires, Central Band of the Royal Air Force and Salon Orchestra are set to deliver a rousing finale to the first 100 years of the RAF. The concert will be conducted by the RAF’s Principal Director of Music Wing Commander Piers Morrell and the compere will be Welsh singer, radio and television presenter Aled Jones. The audience will be treated to classic military tunes including the The Dambusters March and Spitfire Fugue and national favourites such as Rising of the Lark, My Little Welsh Home and Land of my Fathers, as well as the big band sound of Glenn Miller’s In the Mood and Keep ‘em Flying. Also taking to the stage will be RAF vocalists Corporal Matthew Walker and Senior Aircraftwoman Philippa Hobbs performing some hugely popular songs including Come Fly With Me, Mr Blue Sky and Miss Otis Regrets. Sponsored by BAE Systems and Lockheed Martin, the concert tour is staged in support of the RAF Charitable Trust. For ticket details visit the Wales Millennium Centre box office at https://www.wmc.org.uk or call 029 2063 6464. The concert begins at 7:30pm.